New Zealand has many unique kayaking opportunities. It also has unique weather, and there are lots of things you have to consider when it comes to safety that you might not have to consider elsewhere. The weather can change instantly, and it’s wise to be prepared. 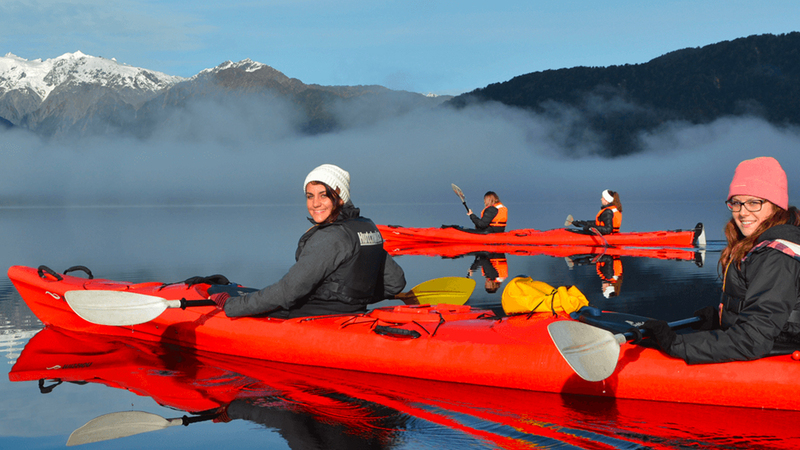 During recent kayaking trips in Fiordland and the Bay of Islands, I picked up some kayak safety tips and resources that I think are relevant to anybody planning to kayak anywhere in New Zealand, whether you’re a novice or a know-it-all. The most obvious threat to safety when you go kayaking, but I put it here first because it’s somehow still the most overlooked one. 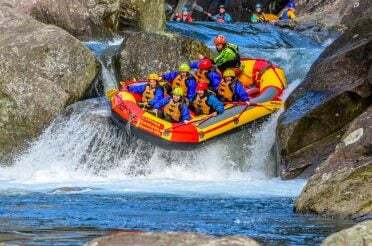 Much of New Zealand (including Fiordland) is perched perilously on the border of two major tectonic plates. It is a collection of dramatic alpine peaks and long sandy beaches, endless farmland plains and inhospitable cliff-lined coastlines, lashed by the Tasman Sea from one side, the Pacific from the other, with the fringes of the Southern Ocean lapping at its heels. Throw in the prevailing westerly winds of the Roaring Forties and you’ve got the potential for a pretty maddening meteorological cocktail. This is nothing to worry about most of the time, as long as you remember where you are. The West Coast of the South Island (and Milford Sound in particular, averaging about 7,000mm of rain each year) is one of the wettest places on Earth, while barely a hundred miles over the mountains are New Zealand’s sunniest (Marlborough) and driest (Mackenzie) regions. 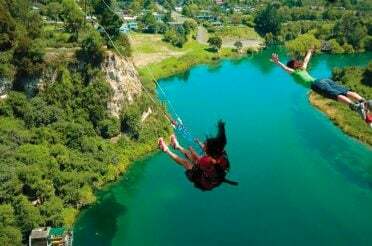 In the North Island, Wellington and its infamous winds are a world away from the subtropical Bay of Islands. However, as we found out shortly after arrogantly packing little more than our sunglasses and sunblock for a multi-day sea kayak trip from Urupukapuka Island that was spent mostly battling sideways rain, even the Bay of Islands can have a storm dropped on it occasionally. By far the best resource for checking accurate, up-to-the-minute weather reports in New Zealand is the national Met Service. We found that many of the TV weather forecasts just generalize a region’s weather, whereas the Met Service forecasts break it down into specific, isolated areas as well as provide information vitally useful to sea kayakers like local tide times, visibility levels and gale force wind warnings from the high seas. Don’t go it alone. Well, at least in some cases. 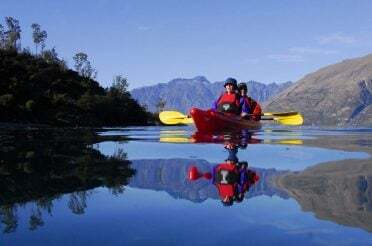 In well-known and well-touristed places where you’re bound to be sharing the water with others and have little chance of straying too far from shore or into dangerous waters, then (provided you have the right gear – see below) New Zealand is a great place for solo kayaking. 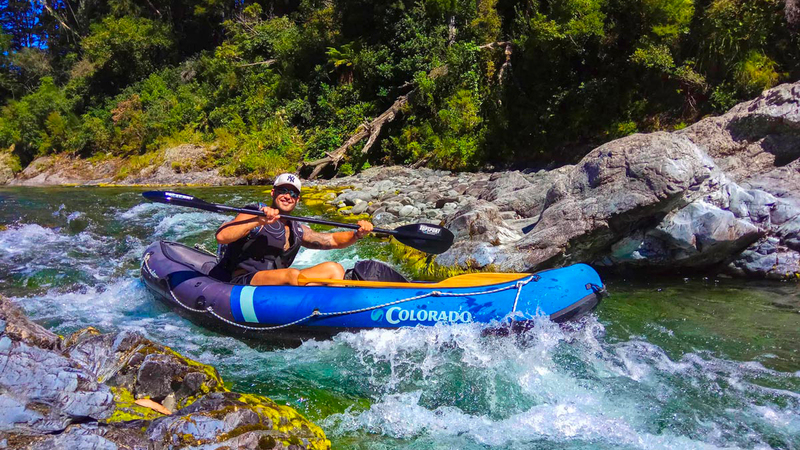 However, a lot of the best kayaking spots in New Zealand are a little further off the beaten track, and you’d only have yourself to blame if you were foolish enough to venture there on your own, no matter how many precautions you take. You never know what can happen: a rare birds nest falling from a tree knocks you unconscious, a hitherto unknown violent allergic reaction to some particular kind of pollen renders you unable to move your arms. And you’re miles from anybody being able to help you. This doesn’t mean you have to be married or be travelling with friends to ensure you’re not alone on the water. 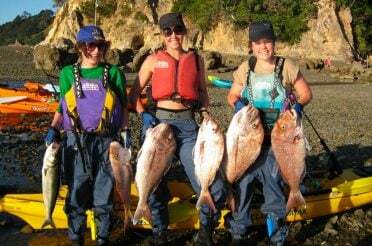 One obvious way to ensure your safety is by taking advantage of New Zealand’s superb guided kayak tour operators. 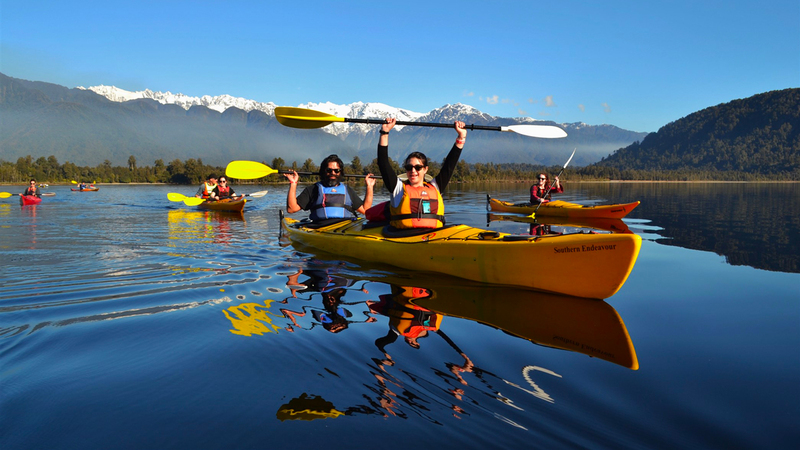 If you don’t like the itineraries or services offered (or simply don’t like having to pay for company) then we found that recreational kayaking clubs around New Zealand are a great way to find people to paddle with. The number of these clubs is quite staggering, and they are all social platforms (a lot of which operate, very actively, online) aimed at linking recreational kayakers together, no matter what ability level. Some of them are specially dedicated to making sure nobody ever has to venture onto the water alone, while others reach out to beginners who are trying to build their skills by suggesting courses and training. 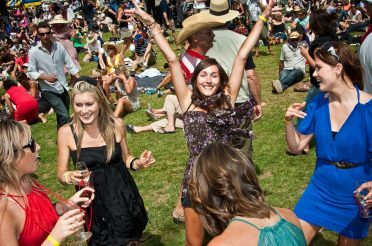 Fairly closely tied in with company is the vital issue of keeping in contact. 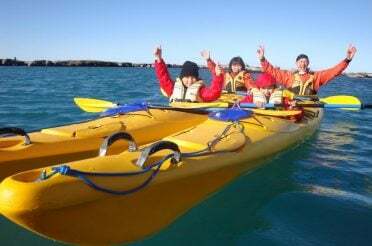 We found (particularly in the Bay of Islands, with an Auckland-based club) that linking up with social kayaking clubs means you’ll almost always be in the company of somebody well equipped and well experienced who will have an appropriate VHF radio. 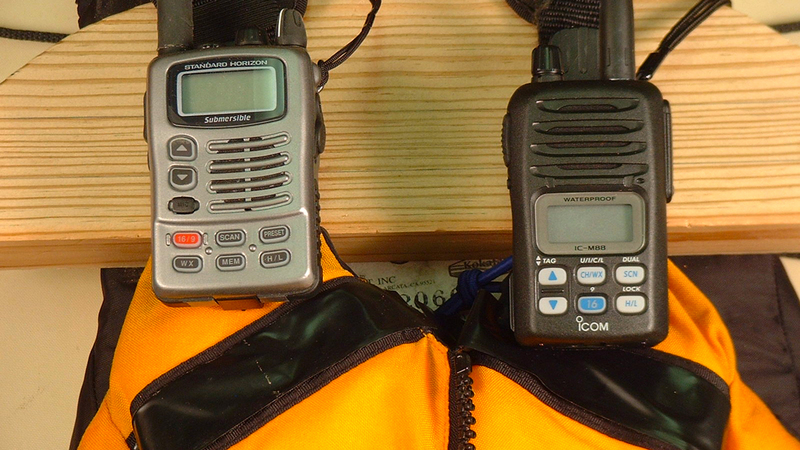 If that’s not the case and you’re planning to venture off the beaten track without a local expert (even if you're doing so with other family or friends) then a workable VHF radio is absolutely essential. Even though we were with experienced kayakers and didn’t end up using it, we rented a 2-way VHF radio in Auckland before we went kayaking in the Bay of Islands. One area in which I actually did do plenty of prior research before our kayak trips was how to use this thing in New Zealand. The best resource I found, which includes up-to-date VHF channels in New Zealand, how to switch it to the right setting, the appropriate Mayday distress call, and a list of reliable radio channels giving real-time weather updates, was the Kiwi Association of Sea Kayakers. 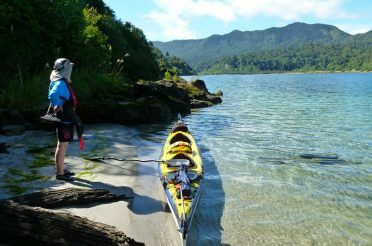 On their website you'll find plenty of advice on other things to do with kayaking in New Zealand, too. One undeniable truth that I can take away from observing people (including myself) kayak in New Zealand is this: most people who fall in the water will be critically underdressed for doing so. 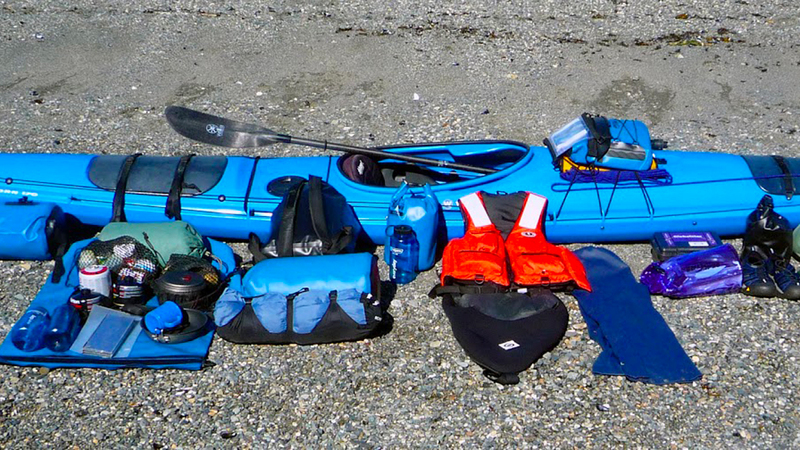 With so much focus on having the right gear and keeping an eye on the weather, I can see how clothing may become a bit of an afterthought when getting ready for a kayak trip in New Zealand. And sure, most of the time you’re going to be fine and dandy wearing shorts and a t-shirt if you’re paddling on a pond-like lake. But things can turn serious very quickly, especially if you unexpectedly end up in freezing cold water without wearing something like polypropylene thermals. Again, this comes down to knowing where you’re going and what you’ll be doing. I found the water in Milford Sound, for example, to be colder than I had expected. 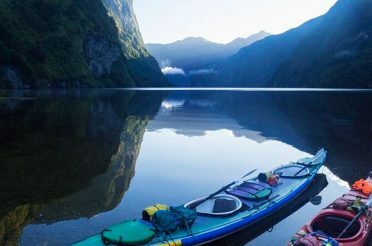 Follow the general advice on essential kayaking gear and equipment in New Zealand from Pelorus Eco Blog and you’ll have a fair idea of the bare necessities to take stock of. You’re not expected to know how to roll out of a capsize on your first kayaking trip. That said, there are some basic techniques that you should familiarise yourself with if you’re heading somewhere that could end up being far from help, even if it seems perfectly safe. The closest I got to capsizing while kayaking in Milford Sound was at Harrison Cove, a beautiful, secluded, sheltered bay just one mile from where I launched my kayak at Deepwater Basin Road. Safety conditions were perfect, with bright skies watching over dead still water. The scenery was fantastic. I wasn’t – I lost my balance trying to unscrew the seat container to fumble for my camera while also looking over my shoulder to ask my wife to stop paddling and pause for a photo. She wasn’t impressed. That night, back in Te Anau, when I got out of the shower I saw a brochure she had left on our bed. It was called something like ‘A Basic Guide to Sea Kayaking’ (similar to this one I have since found online), opened on the page that explained how to do ‘the most basic of kayak recovery rescures’ that was apparently so easy that ‘even over-confident people with no previous kayak experience’ could pull it off. I thought she was joking; she wasn’t. I read it sheepishly, and I never managed to take a photo of her kayaking.